FRANKFURT -- BMW increased group sales by 23 percent to 170,932 vehicles in November, a record for that month, driven by soaring volume gains in China. 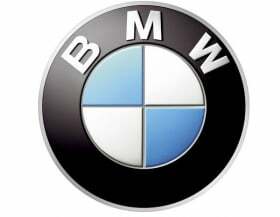 Global sales of BMW's core brand rose 26.4 percent to 145,452, while deliveries of the group's Mini brand rose 6.6 percent to 25,077. In a statement on Monday, BMW Group sales chief Ian Robertson said the result put the automaker in reach of acheiving record sales this year and predicted that BMW would ''once again be the number one premium car company worldwide." Group sales in China jumped 62.3 percent to 31,090 vehicles in November, making an 11-month total of 295,974, a rise of 37.6 percent. The bulk of sales came from the core BMW brand, particularly the X1 small SUV and series 3 long wheel-base models, according to the company. In Europe, group sales rose 9.9 percent last month to 76,084. Through November, demand increased 1.5 percent to 787,286. In the United States, where the automaker's BMW brand still lags behind Mercedes-Benz in premium auto sales, group sales rose 38.8 percent to 36,461. In the first 11 months, deliveries rose 11.3 percent to 303,728. Through November, total BMW Group deliveries rose 10.1 percent to 1.66 million. On Thursday, rival automaker Daimler said sales of its Mercedes-Benz Cars unit, which includes the Smart brand, rose 5.3 percent last month to 128,768, making an 11-month total of 1.29 million, a rise of 4.9 percent.